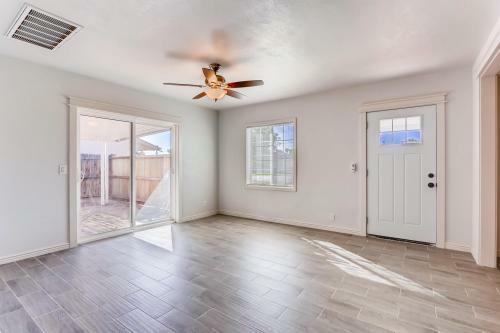 Come see this fully renovated ranch style home with beautiful grey wood tile flooring. 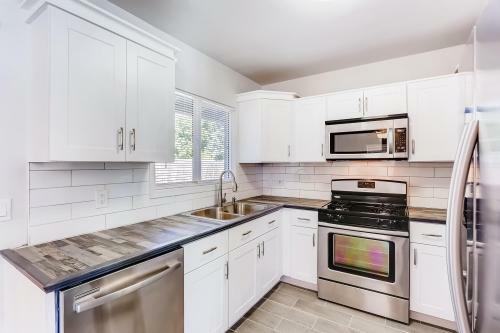 The kitchen hosts crisp white shaker cabinetry with custom trim work and stainless appliances Fully renovated bathrooms, windows, doors and laundry addition. Rest easy knowing all work has been inspected and passed by the city. 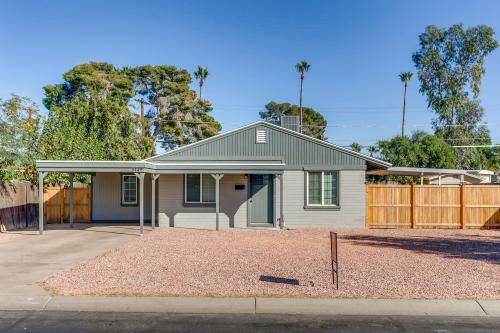 This 3/1.75 is a move in ready home close to the heart of the city and public transit. An ideal location for work and family.